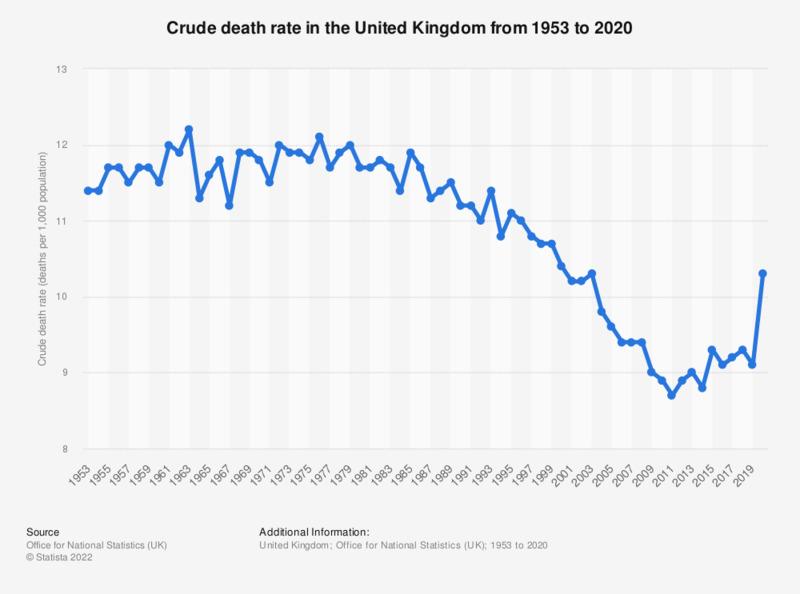 This statistic shows the death rate in the United Kingdom (UK) from 2000 to 2017. Crude death rate is defined as the amount of deaths per 1,000 population. Between 2000 and 2014 the death rate fell from 10.4 to 8.8, before increasing to a level of 9.2 by 2017.